So realistic you just might hear the roar of the waves if you listen closely. 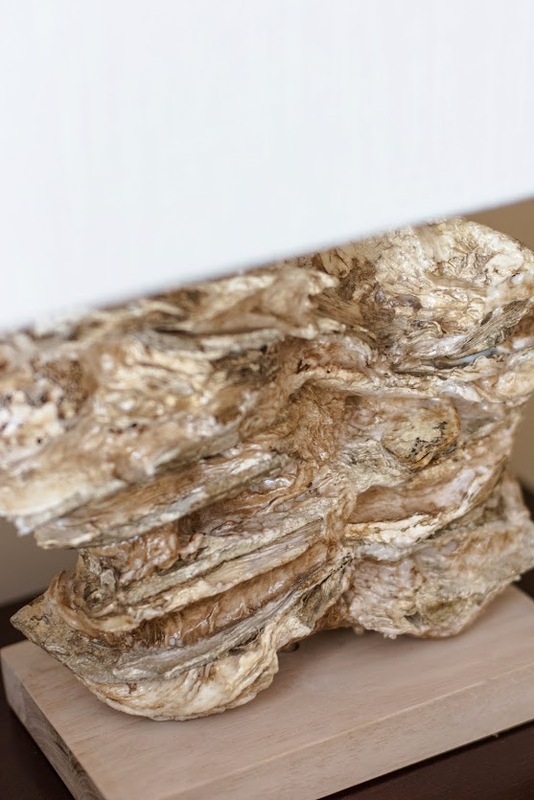 Natural oyster shell calcified together to form a single “stone” look sits on top of a simple natural rubberwood base. 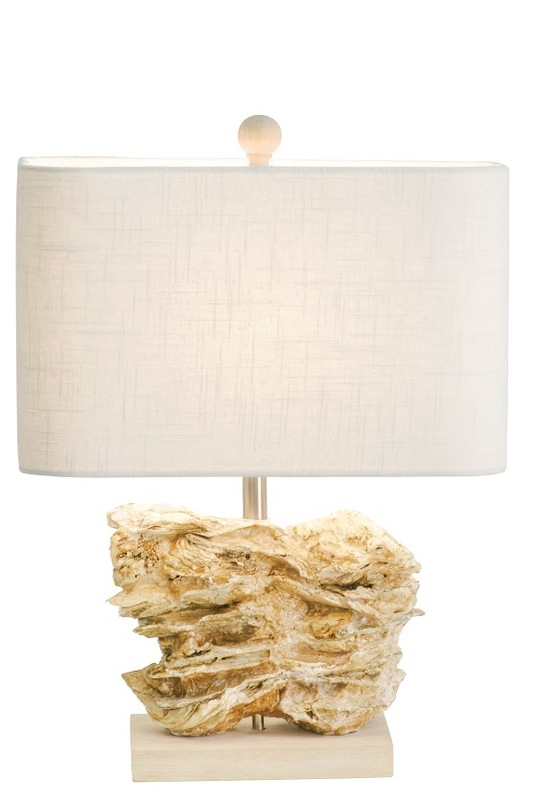 Topped with a rectangular rounded corner hardback shade in white linen. Lamp measures 14"W x 19.5"H and takes one 100 watt bulb with 3-way socket. 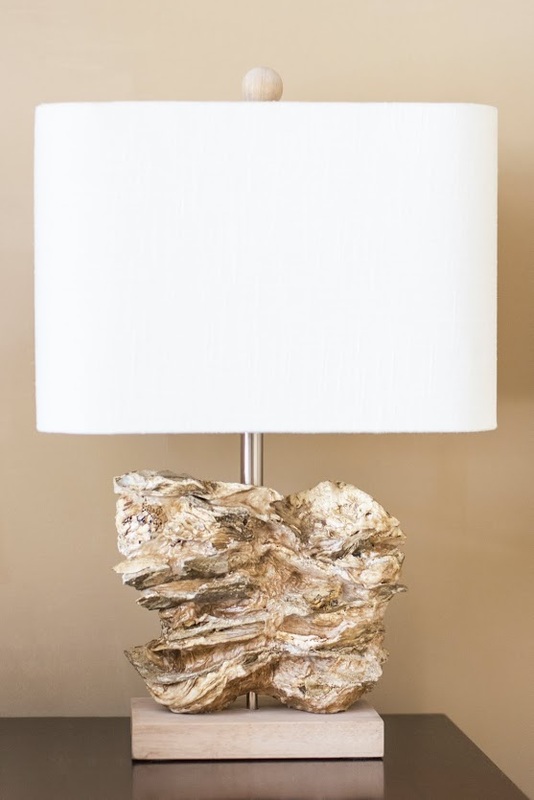 Due to the use of natural materials each lamp is unique.